Home Hair Dye Adventure: It’s BLEACHING Time. Some of you may have gathered that I’m partial to a bit of DIY when it comes to my hair. Not only is it cheaper, but there’s something satisfying about doing your hair yourself and then seeing the results! And the gamble paid off!! I’ve been doing my own hair cuts and hair colours for the last few years – with the exception of a birthday trip to Bleach London. And it’s that trip to Bleach which has sort of inspired today’s hair adventure. Because I’m entering the big leagues and GETTING OUT THE BLEACH!! SPOILER: I’m not going blonde btw. Soz. Well, for a while I’ve had purple & pink streaks underneath my hair. 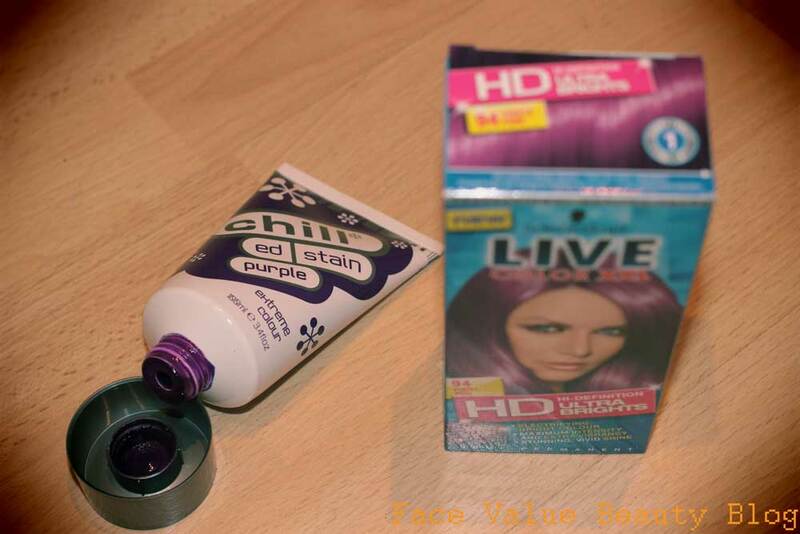 (more details in my blog post “My Quest For Purple Hair Via A Trip To Bleach London”) It looked a bit like this.. I absolutely loved these colours and now that I’ve finally got my hair condition back under control (seriously, it was so damaged) – I’ve decided it’s time to take the next step!! Basically – I took this Instagram photo a while back and I had lots of people commenting on the colour of my hair! My hair was pretty much black at the time but the filter made my hair look purple which got me thinking… why don’t I go purple all over? 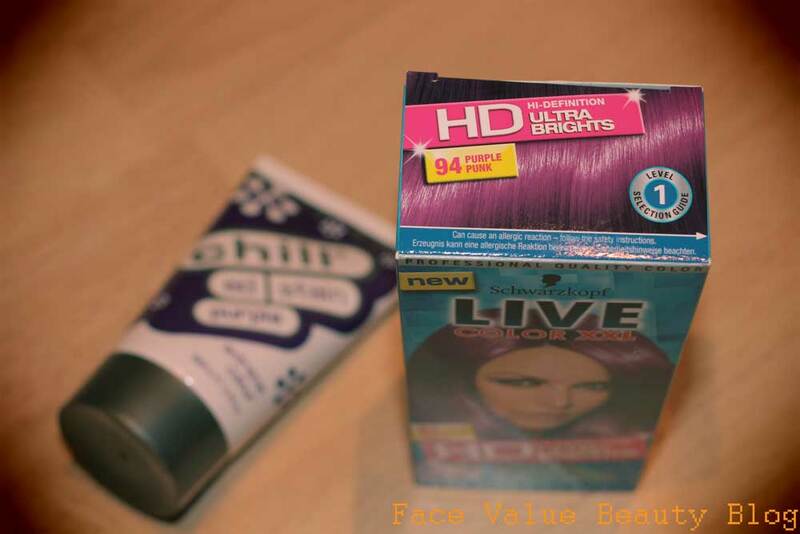 There are not many artificial purple colours in the mass market – at least not many that will turn the colour of my hair because it’s so dark. 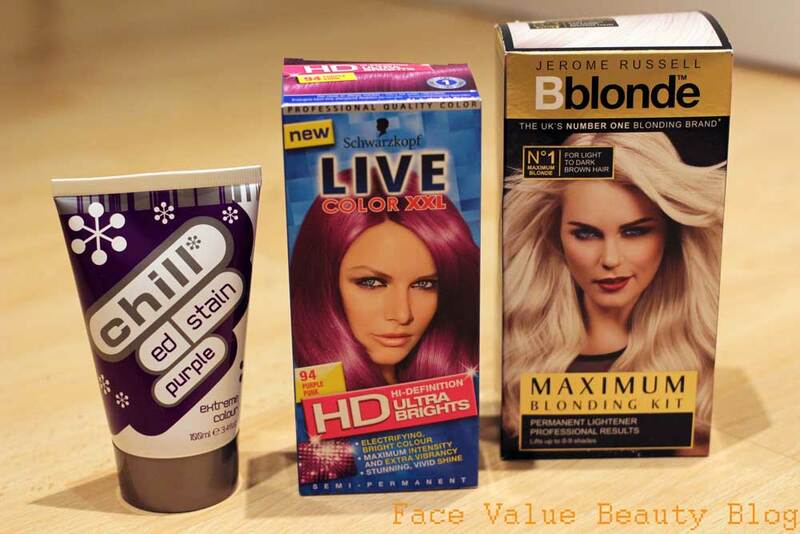 Dark hair is notoriously hard to take vibrant colour which is why the bleach is needed!! The bleach will lighten my dark hair, and then I’ll apply a semi-permanent colour dye onto that after – the semi-permanent stuff doesn’t have any bleach in it, so it’s almost like a hair stain. I’ve used the semi permanent colour before on my pre-bleached streaks, but never bleached my own hair before! Serious EEEP. I’ve got a maximum lift bleaching kit by Jerome Russell and two purple stains, the Ultra Brights in Purple Punk by Schwarzkopf and a salon-grade Purple stain by Chill UK. I’ve chosen two different purples to add a bit of texture as the Schwarkopf Ultra Bright is slightly pinky-purple and will look good alternated with the Chill Ed Stain which is more of a royal purple like on the label. The only thing is…. I haven’t decided what I’m going to do with the bleach!! I might do purple highlights, or purple sections – or even the whole head! What do you think? 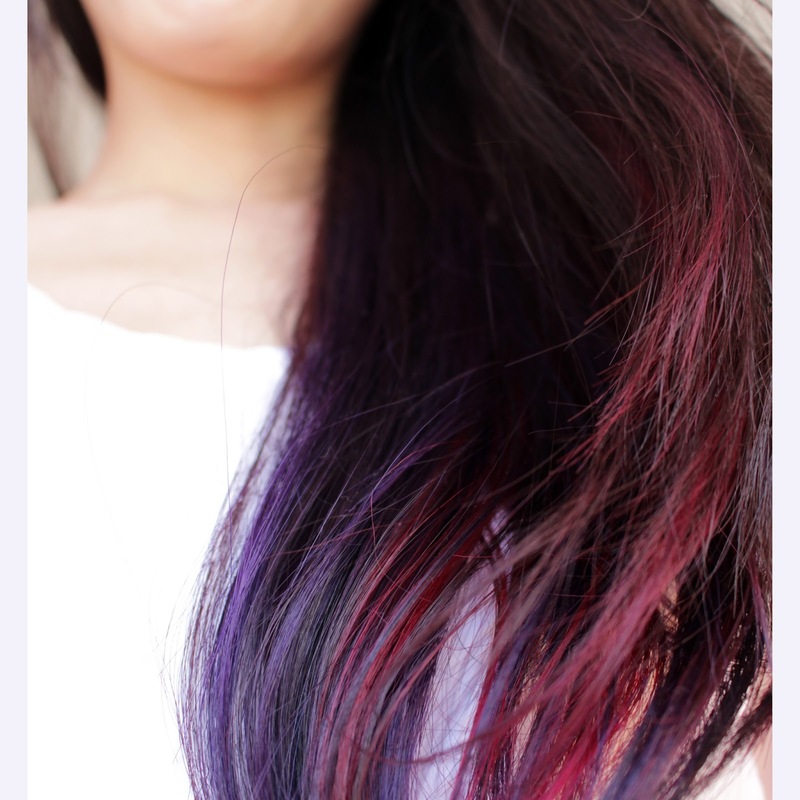 Should I go all over purple? Are you a have-a-go home hairdresser? Any tips for home bleaching!? 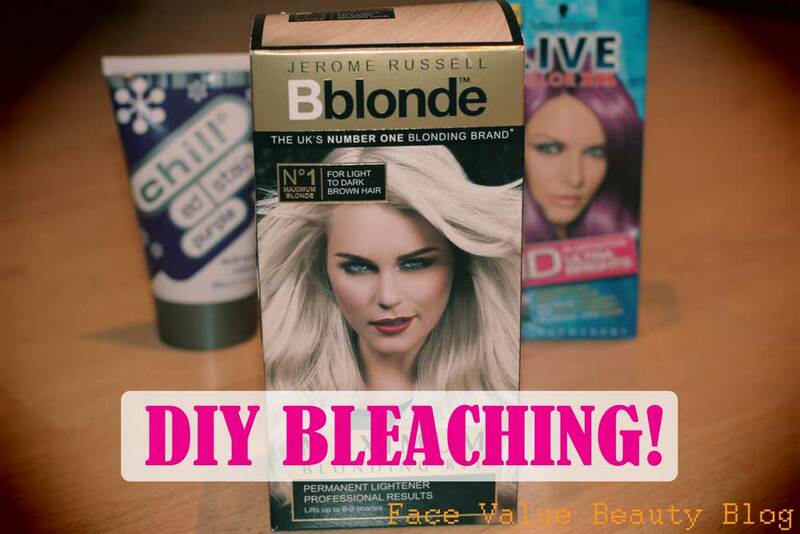 Thinking of making a YouTube tutorial… would anyone like to see a video of my home bleaching adventure/disaster?? You're right – i think i might just do a bit at a time. Don't want all my hair to fall out!